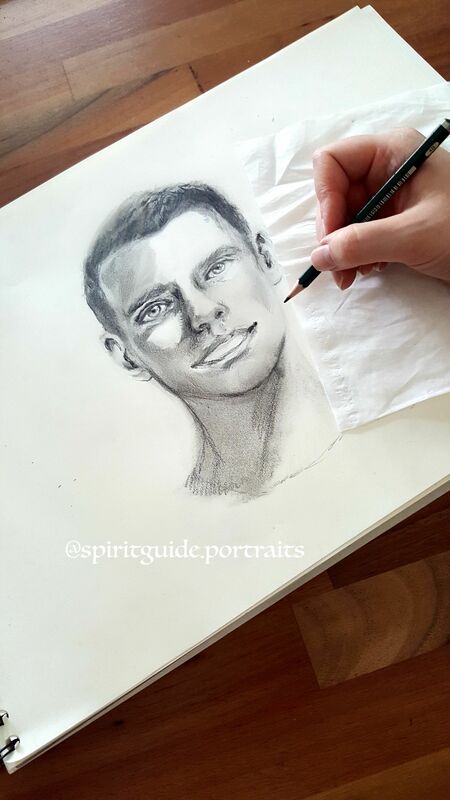 A Spiritguide portrait can be useful for anyone who wishes to know more about their Spiritguides. They enable you to develop a stronger bond with your Guide(s) in order to bring through wisdom, unconditional love and gentle guidance. Altough you might not recognize your Main-Spiritguide, it is possible you feel your heart explode with love when you focus on the portrait and connect to them because you can feel their energy. Mostly Spiritguides are relatives from past lives. Some Guides provide guidance for a short period of time, others will stay longer. SpiritGuides teach us to be self reliant. A guide will always help us to understand the importance of accepting responsibility for our own decisions on our path! This is very important. But at the same time, by having links with our friends from our spirit home we able to walk our Earthly path with the knowledge of their constant love and support and their gentle guidance. These portraits create a strong link to enable you to connect with your own Guide. Once we actually see the face of a beloved friend it becomes so easy, so beautiful, to connect. it also makes it easier to know who you can adress to for help whenever you feel lost in life because they are always there. Everyone has their own team of Spiritguides surrounding them. They are always there to protect you from negativity and support you even if you can not hear or sense them. You can ask their help by simply asking what you need (in your head) as if you would to a friend. A portrait can be a beautiful start in your awakening process! 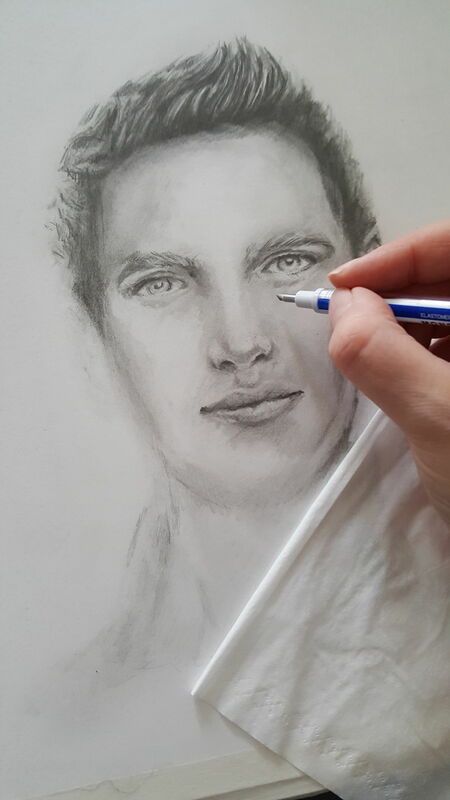 A portrait drawing takes me up to about one week to finish because it takes time to make it a realistic drawing. During meditation I can get a better look at the Spiritguide or Spirit. My goal is to draw a Spirit guide as accurate as possible as if it were a photograph. If personal messages for you come to me, the writing will be included. I commission worldwide! 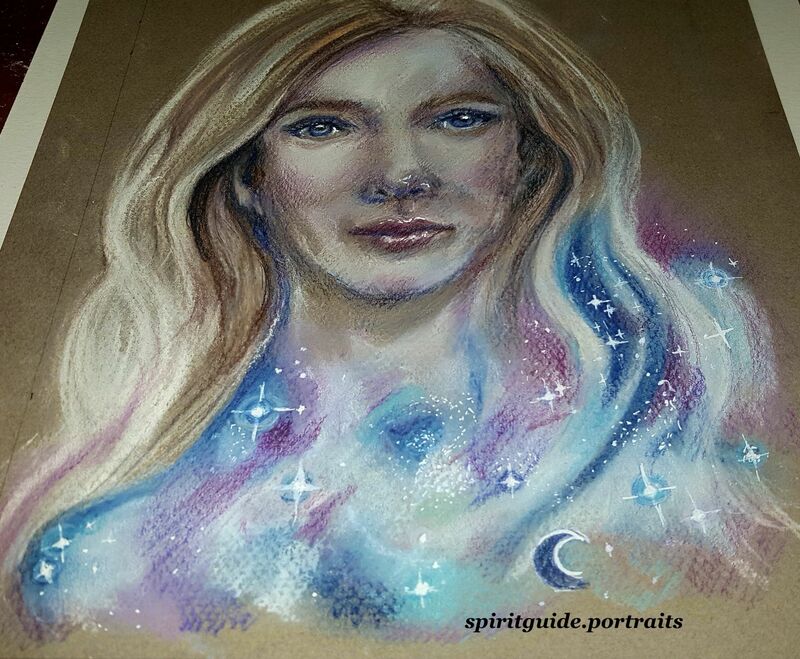 I love Art and creating art with the help of my Spiritguides! My mane goal is to become a fulltime Artist. I would like to be able to create more art for people to see and also do custom portraitdrawings! The services provided by Corine Consult (spiritguide.portraits) are for entertainment purposes only. You must be 18 years of age or older to use these services. Corine Nordsiek would like for you to benefit from your reading and makes extra effort to provide helpful advice. However, this information should not be used as a substitute for any professional advice be it medical, legal or financial. By agreeing to purchase the services provided you will not hold Corine Nordsiek CorineConsult responsible for any losses you might incure. The information posted on this site is for entertainment purposes. Use information at your own risk.